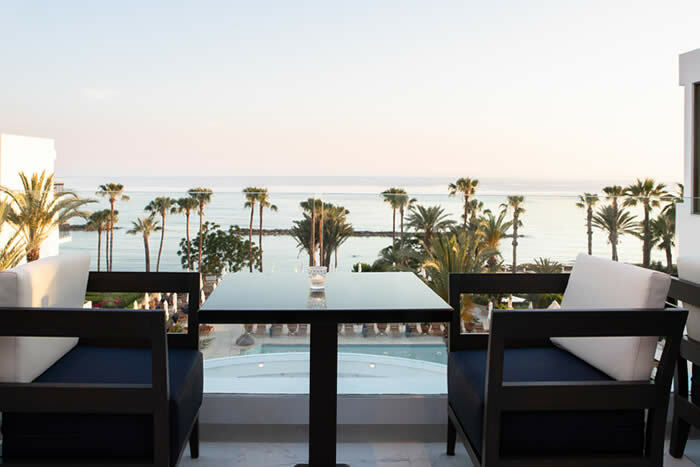 Annabelle offers discreet, understated elegance and stylish accommodation, providing an idel year-round retreat in Cyprus. 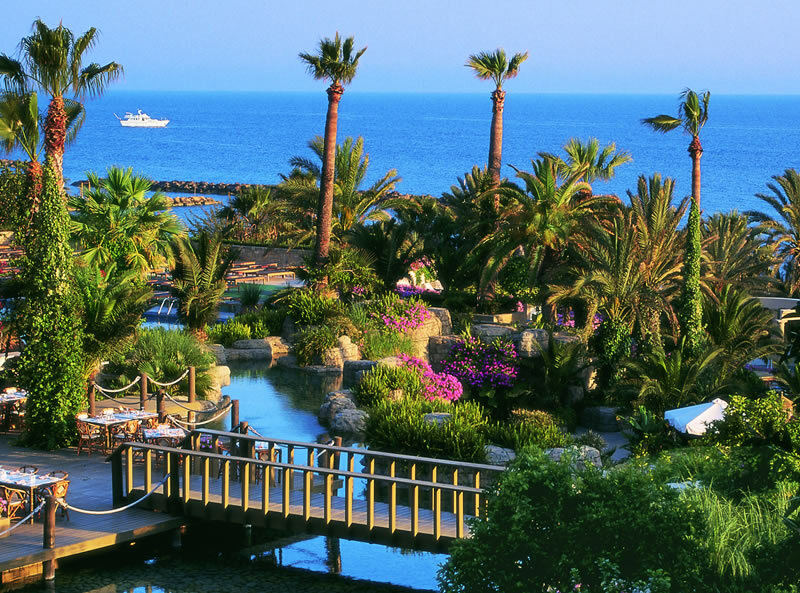 It is very centrally located, being the closest hotel in Pafos to the picturesque old fishing harbour and castle, ancient port and the UNESCO archaeological sites. 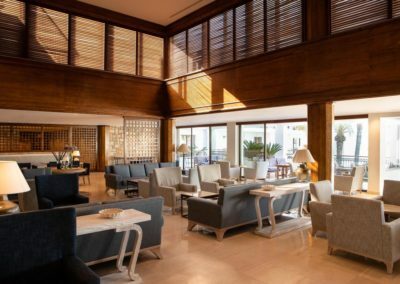 Situated amongst six acres of beachfront tropical gardens, cascading waterfalls and meandering free-form pools, this family-owned five-star hotel offers languid resort living in a town-centre location. 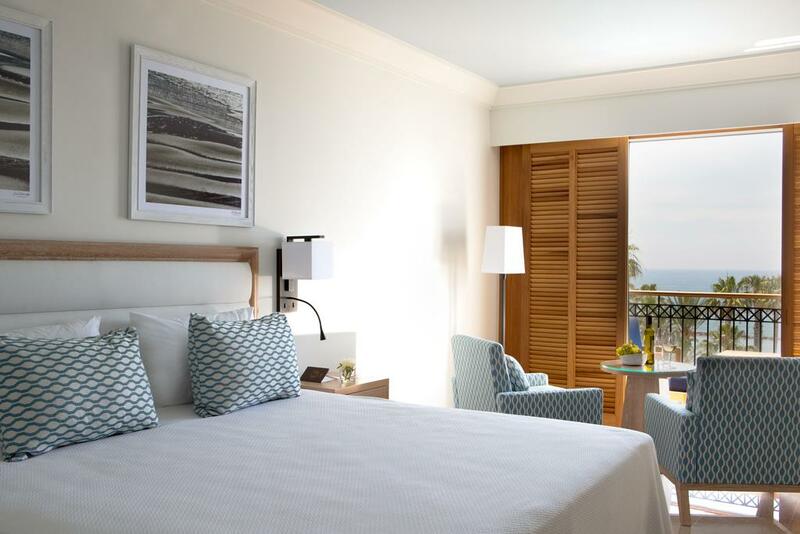 It has 218 airy rooms and suites, all luxuriously furnished and each with its own private terrace or balcony. 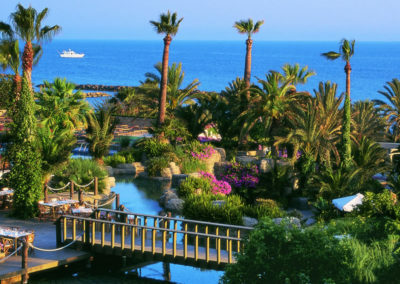 The rooms boast magnificent views to the azure Mediterranean Sea and the hotel’s tropical gardens. All rooms feature cable and satellite TV, video on demand, in-room entertainment centre, including AM/FM radio, complimentary WiFi access, CD players, minibar, turn down service and hair dryer. 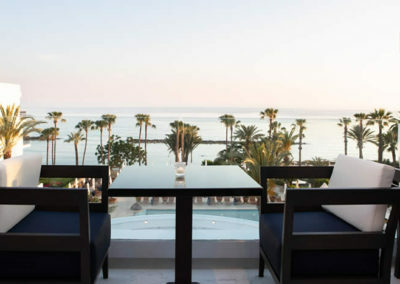 Bathrooms include the finest toiletries and bathing amenities.Four exceptional and unique restaurants offer an array of gourmet and Mediterranean inspired dishes as well as authentic Cypriot cuisine. Four bars in the hotel host music and a selection of delicate international wines.